Sometime ago we won a prize in a lottery. 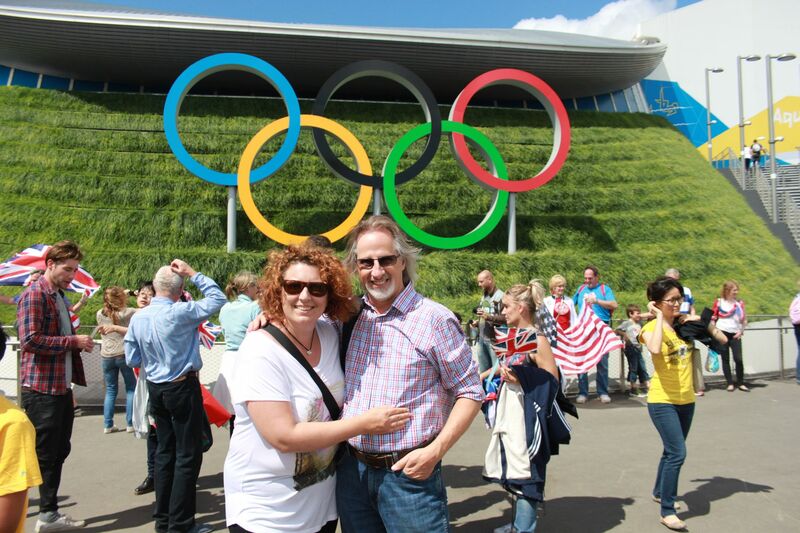 Along with thousands of others we were allotted Olympic event tickets for what would become known as Super Saturday. Our tickets, for the afternoon diving session, would give us a trip out to the Olympic Park and all the razzmatazz of London 2012. After all the scare stories of travel chaos prior to The Games our journey in from the west, with a few hundred others from this direction, was completely pleasant and trouble free. Catching the high speed rail link from St.Pancras, the “Javelin” train, as it is known, took us straight across London in about 4 minutes. In new pristine coaches, comfortable, and smelling freshly of cucumber – now there’s a scent you don’t get in a bottle very often. 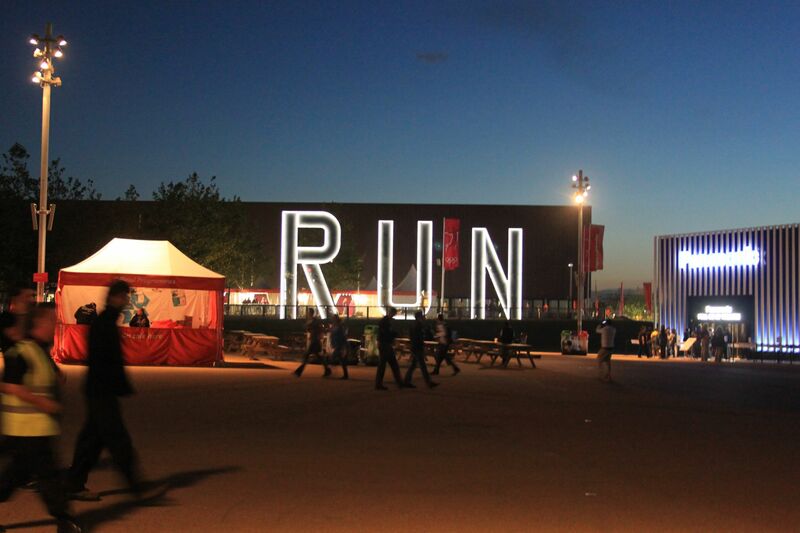 The crowds approaching the Olympic Park were naturally excited and full of chatter but the first obstacle you have to negotiate before you enter the Park and immediately after leaving the train is a Westfield shopping mall. Shopping being a British Olympic event, of course. Thank you Mary Portas ! We quickly dash the naffness aside. I warn Mrs. Monkey that we are not here to shop and move on. 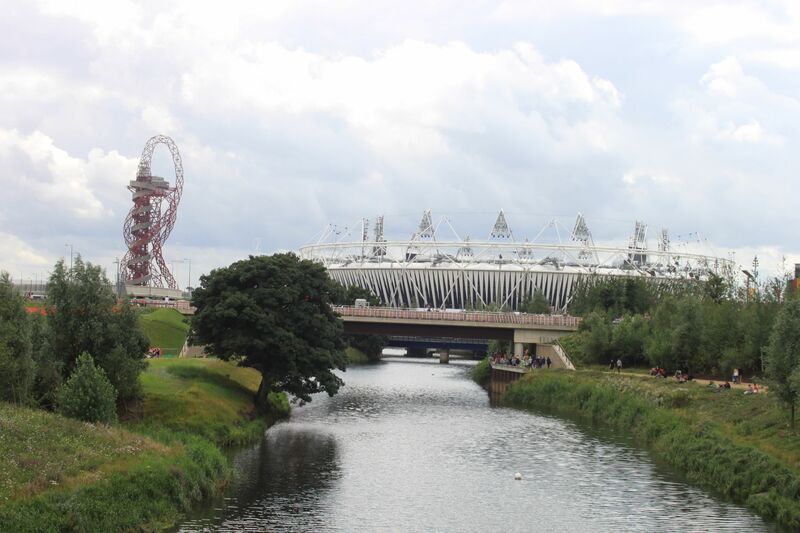 Through security and into the Park itself the stadium looms impressively, as does the wierd monstrosity that is the Anish Kapoor “Orbit” tower alongside it, though it will take me all day to appreciate it. 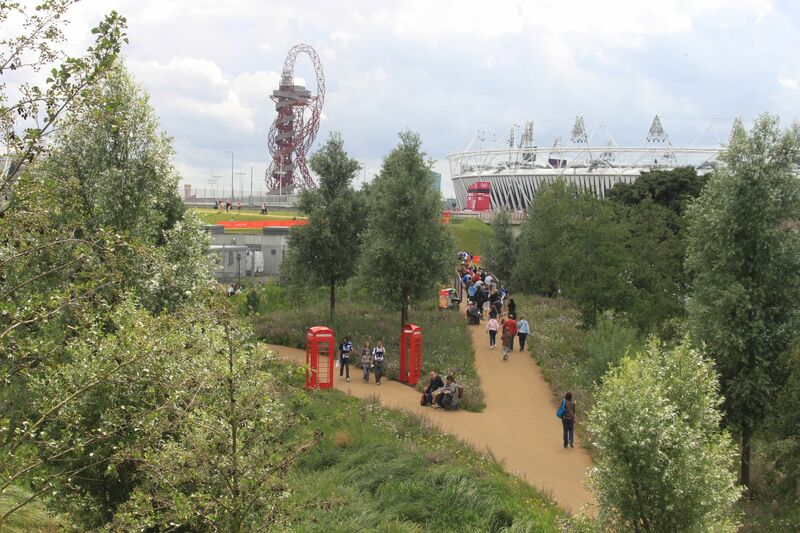 The organisers had stated they had wanted to create a “village” feel to the Olympic Park and, after being struck by the excitement of being by the stadium itself, almost everybody, it seems, is struck by the wild flowers everywhere. 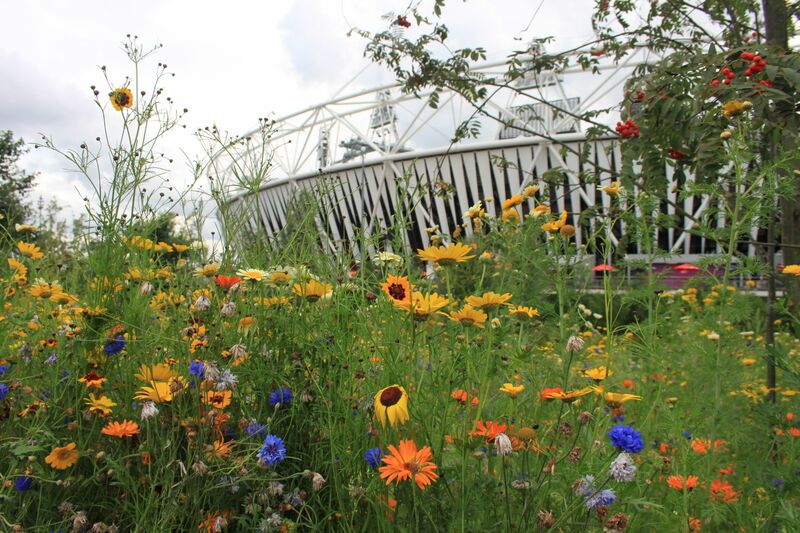 In strips and swathes and by river banks, trimming walkways and plazas, wild flowers, clearly benefitting from the wettest summer in 100 years, abound. It really is an uplifting surprise and quintessentially British. Mrs.Monkey would often benefit from slip-streaming fans to push ahead, leaving me to shuffle in the peloton, but I kept up mostly. It’s the Olympics. All Nations are here. The Dutch in orange. The Germans (or Belgians) – similar colours. USA. Canada , and so. An international festival, indeed. A chilli lunch with two visitors from across the pond and off to our diving. 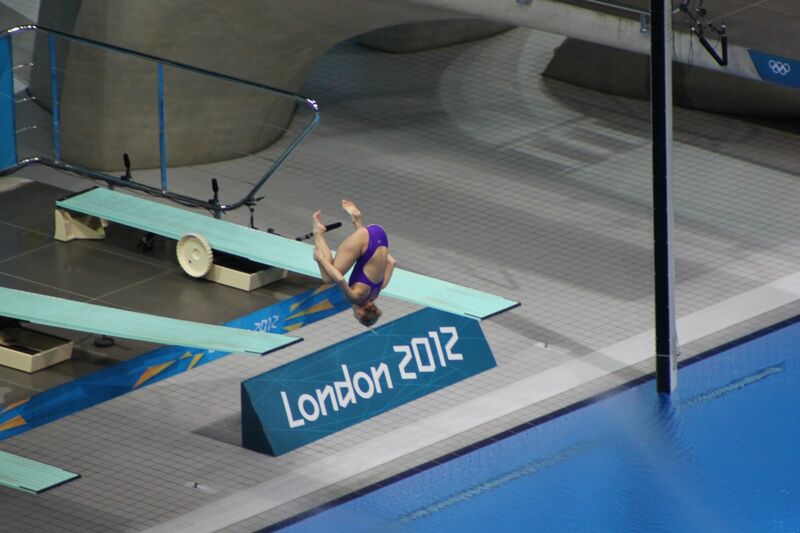 I think we had the pleasure of watching the eventual winner, Xu Minxai of China, who was superb. I guess we’ll see today. The heavy clouds threatened – and given the summer we’ve had – we expected – but they delivered their load somewhere else this afternoon, thankfully. 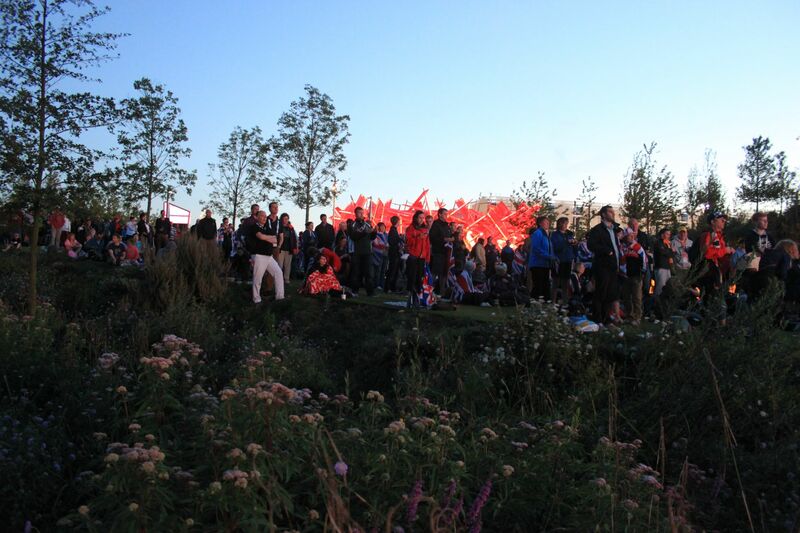 We wandered back to the Big Screen area, which straddles the river that runs through the Park, adorned with wildflower banks and rolling lawns, to join thousands of others to chill out and soak up the atmosphere, fuelled by another cycling gold medal and world record. It’s not everyday we get to whup the USA. As night fell, and the evening chill set in, staked out on our 4 square feet of grass, fortified by beer and chips, we hung in there to watch the long jump final (another GB gold) and, of course, Jess Ennis in the heptathlon. How could we leave before seeing that ? And it all came good. We were on our feet, applauding a superb performance. Our roar may not have been as loud as the stadium but we made our presence felt. 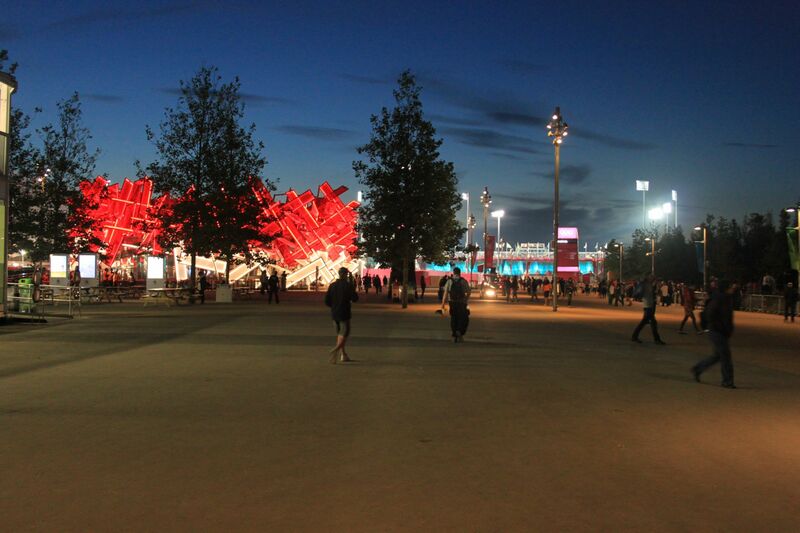 A warming glow lights the Park at night and people still wander around in high spirits. … I said “Ruuunnnnn” …. But we were late. We couldn’t stay to see Mo. He won his 10,000 metres gold before we caught our train but it was a PB for us back across London to Paddington for the last 2 seats to the west. 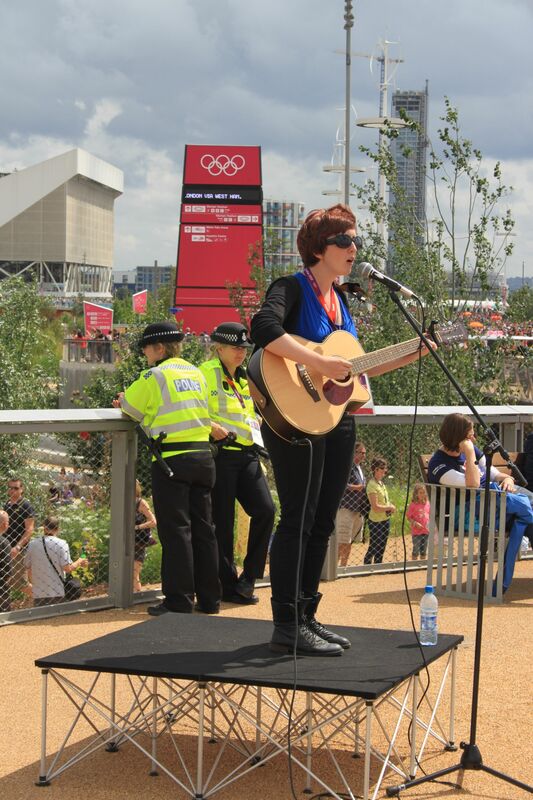 I admit that initially I was an Olympic Doubter. I had performed well in the Pessimism Heats and was working my way through the early rounds. However, having had the experience, I can appreciate the energy generated by what is, by any measure, a Festival where people come together in peace to enjoy. And that, in today’s strife riven world, is not a bad thing. Previous postHappy Birthday, Jerry,….and thank you ! Thanks for that,Z. High praise. Thank you and glad you liked it. Thanks for posting that so we could share the experience. Thanks, Lily. I tried to convey an enjoyable day without being too syrupy. Great commentary and pictures you posted.. Thanks!!!! Lovely. As much as I’m not interested in the Olympics because of the shameless commericiality of much of it, this posts reminds me that it’s about more than that. 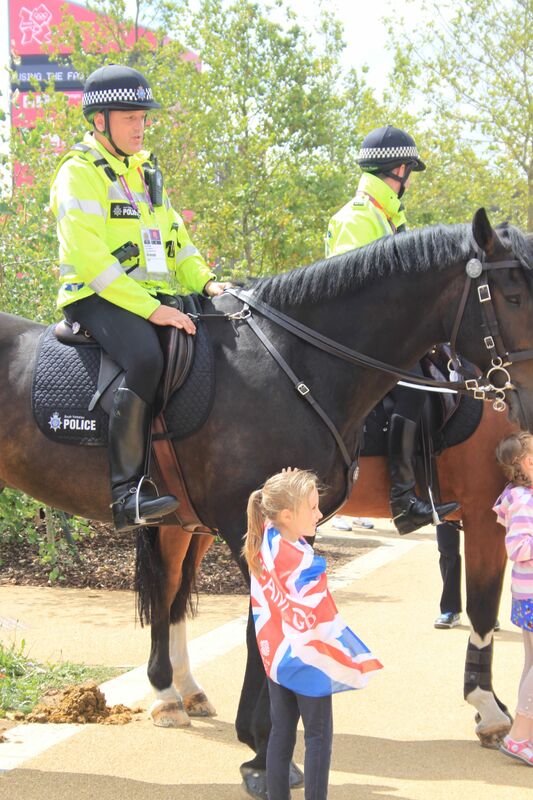 And I love that photo of the Bobbies on horseback with the girls wrapped in Union Jacks. I’ve watched some of the highlights (a bit of swimming and gymnastics), but for the most part, I’m more an Olympics fan in theory than in practice. I do get caught up in the excitement of “a Festival where people come together in peace to enjoy,” as you say, but during the summer Olympics, that’s what draws me most. In the winter, I’m a sucker for figure skating. Glad you liked the photos – we had loads of fun. I see what you mean, Al, but for us this was a Chicago thing — a hometown thing — not a U.S. thing. There was talk that Chicago wasn’t seriously considered by the committee. That hurt. I’m finding it strange how a supposed slight makes me feel about the Olympics in general. Chicago sounds like my kind of town but I wouldn’t take the rejection personally, Ré. I suspect that there is a lot that goes on in what were once smoke-filled rooms when it comes to choosing. You’ve only got to look at where the World Cup ends up. Qatar ?! Great post. 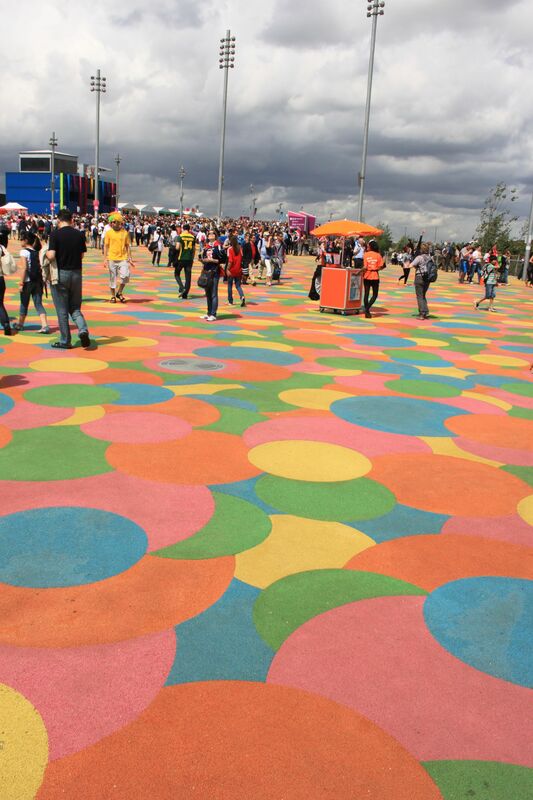 I was watching the men’s basketball last week and didn’t get to explore the entire Olympic park. 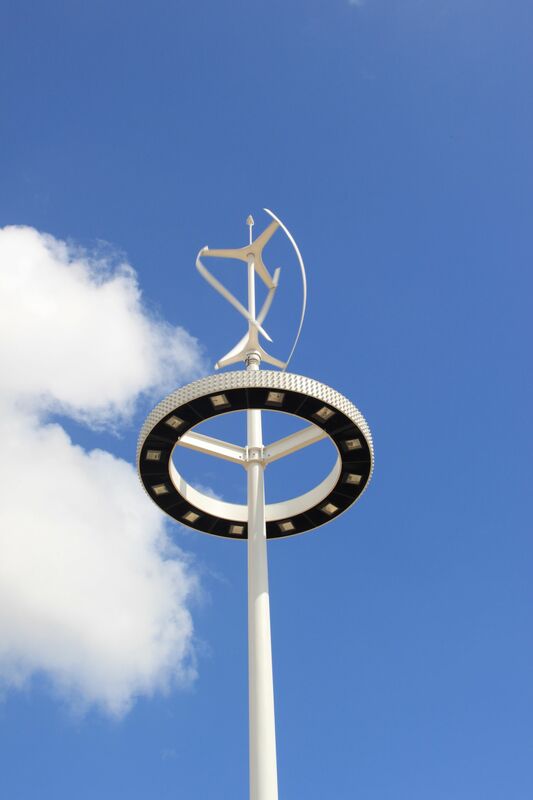 I can’t wait for my next event so I can keep a look out for these sights! Walking through the park really was refreshing. The friend I was with made a genius decision that we would walk back toward the exit of the park via the scenic route. Her comment of “you wouldn’t believe these plants weren’t here a few months ago, they look as though they have..” really struck home. I too loved seeing the red phone boxes, even the half burried one. 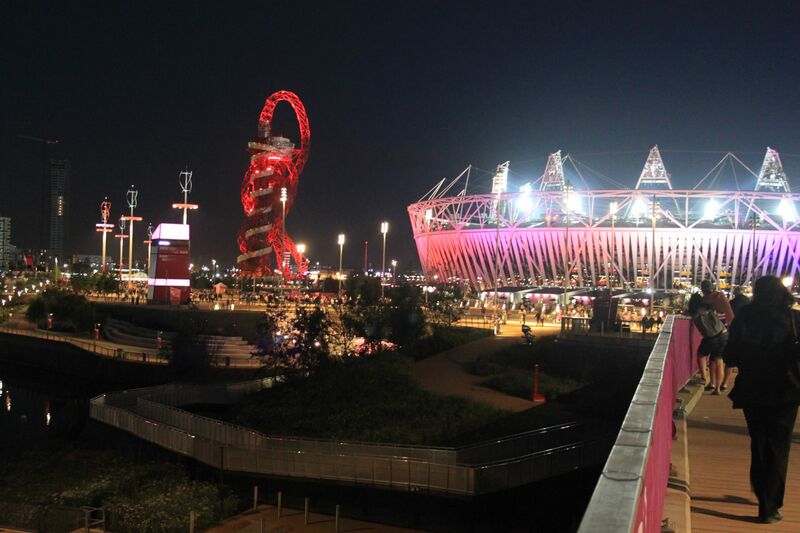 I have to say, thus far – LOCOG really hit this one out of the park. 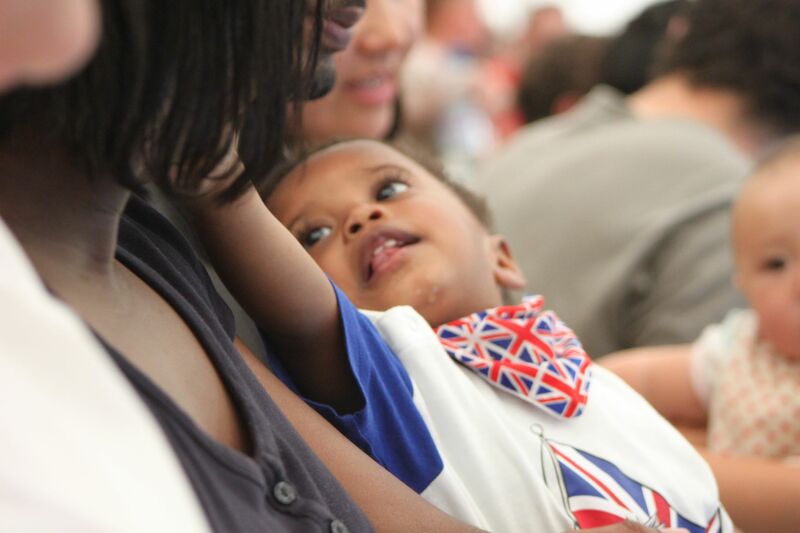 LOCOG and the amazing volunteers that create such a welcoming atmosphere. You’re dead right, Mark. The atmosphere and the volunteers make for a great experience. 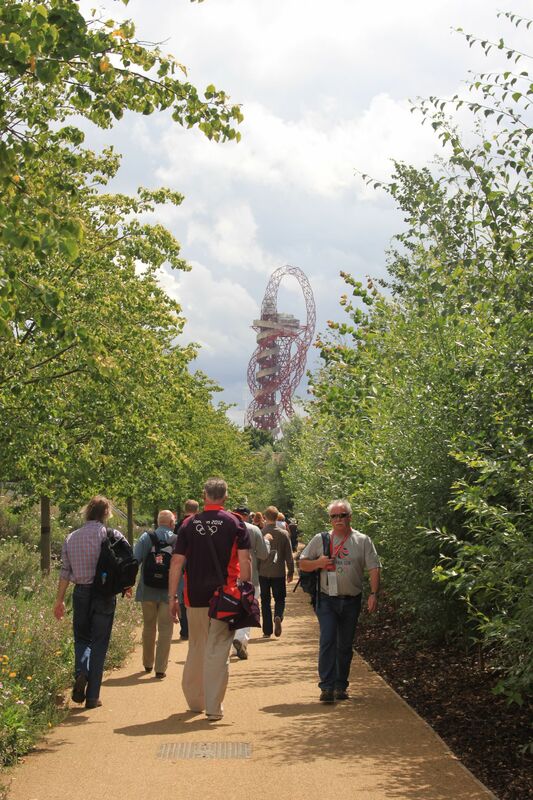 I really do hope that the area remains a beautiful park area when the Games are over. Thanks so much for the wonderful pictures and lovely commentary. Very Nice Al, feels gooood to be back here. 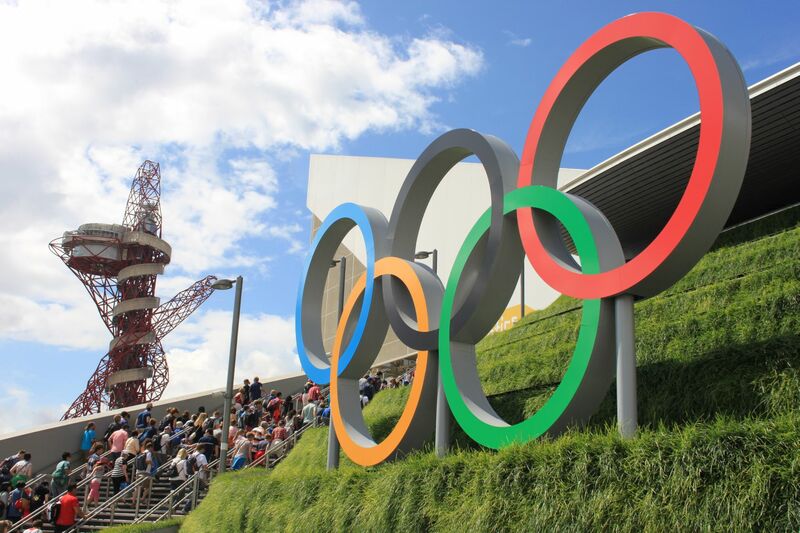 It must be awesome having visited the Olympic village and being testimony to games… i wish ….